The National Cervical Cancer Coalition (NCCC) awareness wristband is the perfect way to share the message of prevention and raise awareness of cervical cancer and HPV disease. 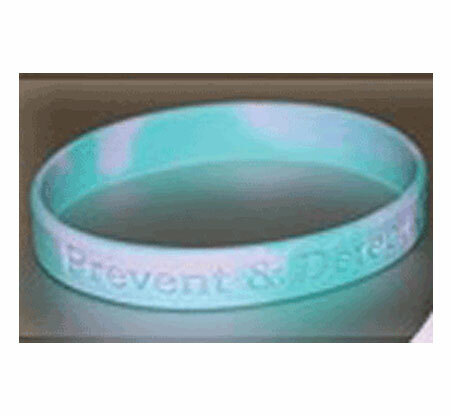 The teal and purple band reads “Prevent & Detect Cervical Cancer” and includes the NCCC website on the inside. Sold in a pack of 10. Shippping included.